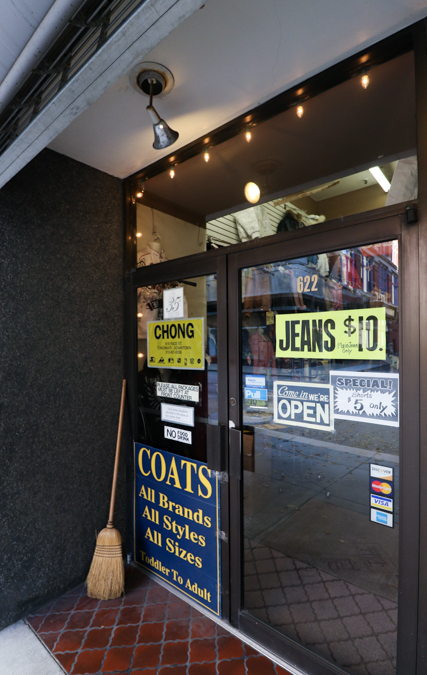 Queen City Discovery: The Chong, Inc. 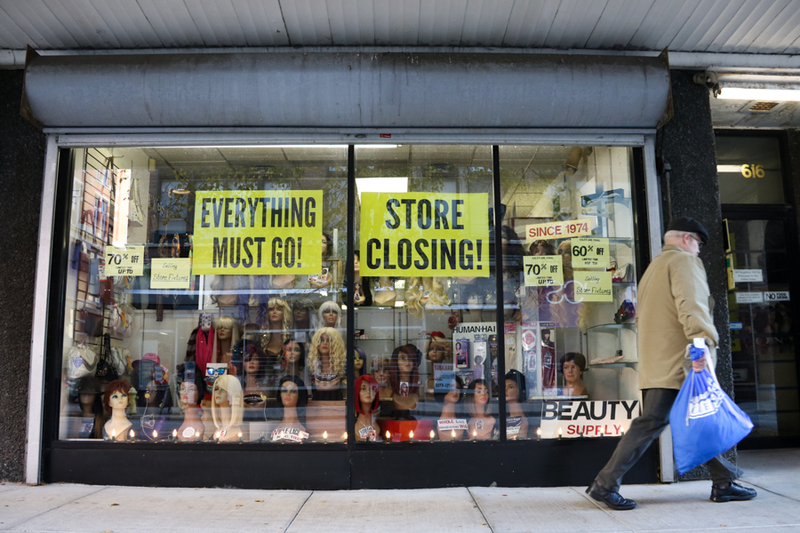 While out shooting photographs in the city, lazily wandering around without any real agenda or plans, my friend Andrea and I spotted all of the “Store Closing/Everything Must Go” signs. 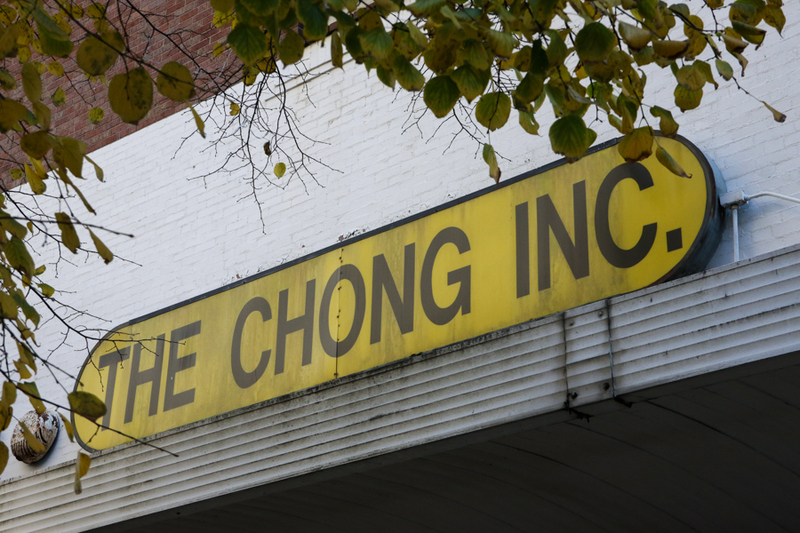 I had occasionally passed The Chong Inc.’s storefront over the years, never paying it much mind. This time, though, we were fixated on the windows in the same way kids would’ve once crowded around downtown department stores at Christmas. 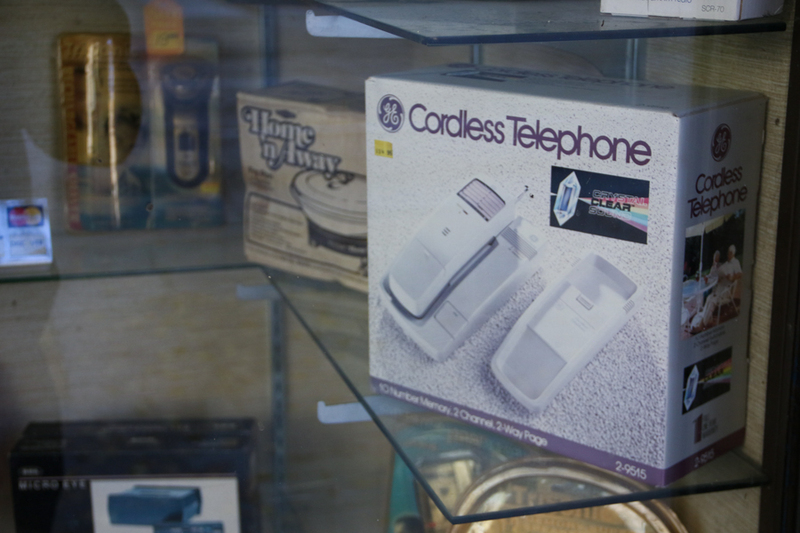 $162 for a mini cassette answering machine may seem ridiculous now, but that might’ve been a fair deal in the early 90s. 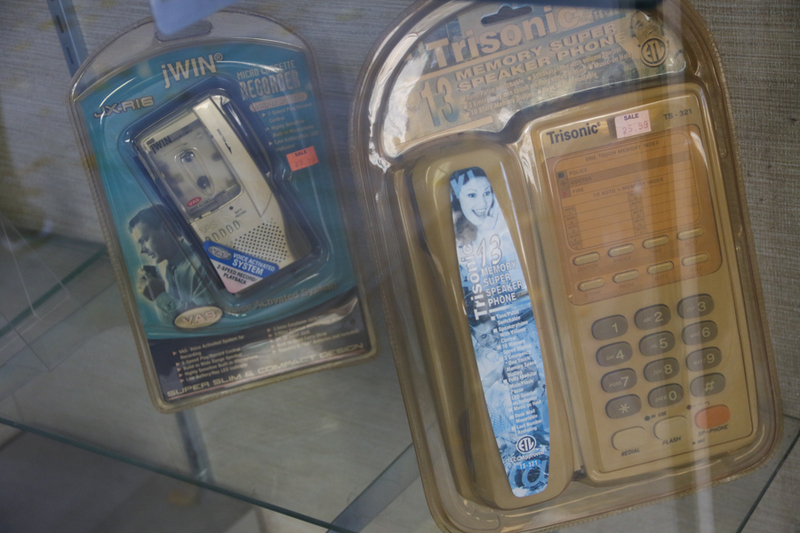 $25.99 was also probably once a reasonable price for a “Trisonic Memory Super Speaker Phone” back when land lines weren’t just in use, but the primary form of audio communication between people. 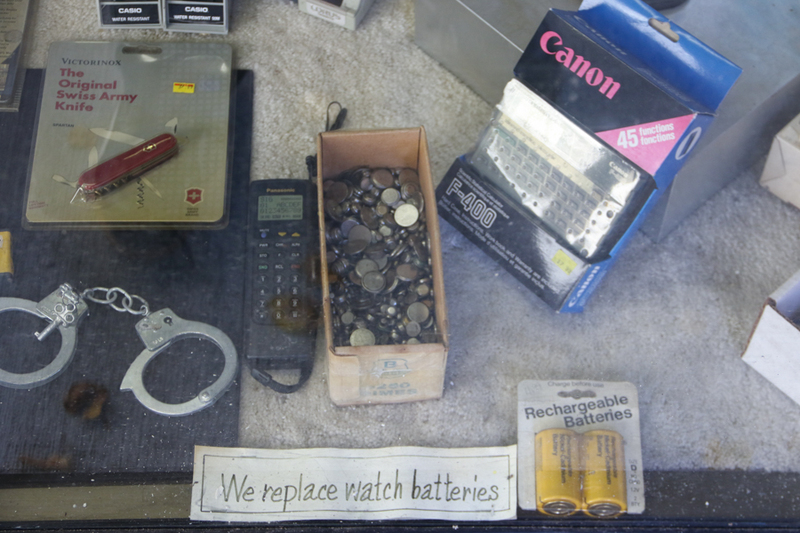 Now giving the windows full attention, I was completely enamored by The Chong’s offerings: the random shoes, the clocks, the old calculators and travel power adapters, the car phone, the box of watch batteries, and even the random handcuffs. 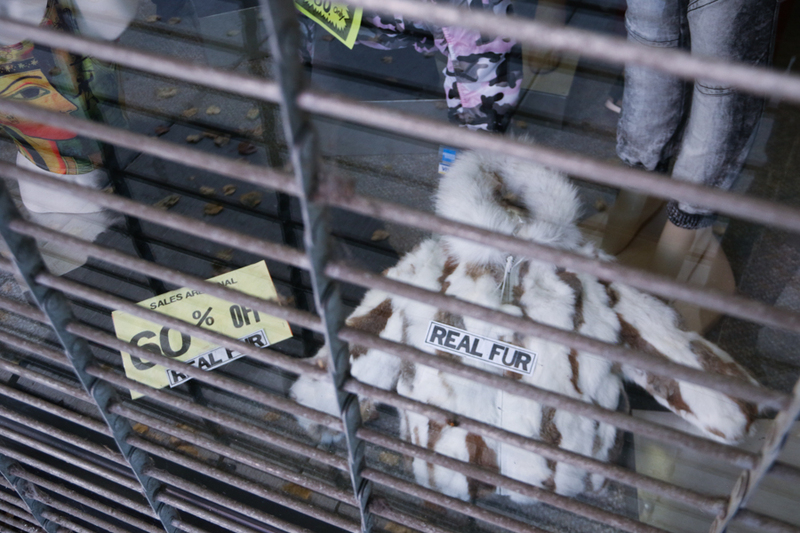 I wasn’t sure if all these items had been kept there on purpose—long faded by the sun and existing solely to capture people’s curiosity—or if the store owners just had no interest in evolving trends. I wasn’t even sure if they could access the displays any more, all of them seemingly blocked by stacks of inventory within the store. Drawn in by the storefront-turned-time-capsule, Andrea and I decided to go through the door. I had been in here once, in search of a cheap pair of sunglasses to replace the ones I had just broken. The styles available were a bit gaudy and the prices seemed quite high for plastic frames made by brands no one has ever heard of. And that was it. I left and went to the Walgreens across the street, never thinking much about The Chong when passing by again. Everything had to go according to the signs, but everything seemed to still be there. 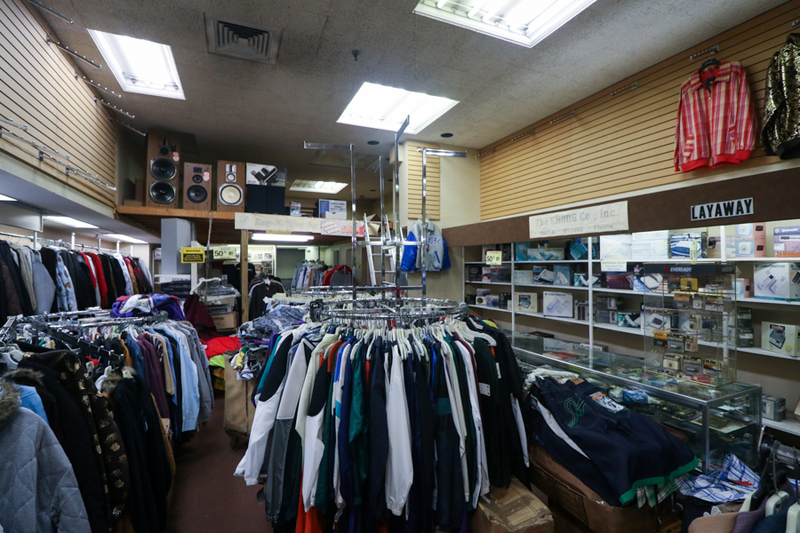 The multi-room store was still overflowing with throngs of merchandise. From wigs to hats to jackets to electronics to pretty much anything you could think of between 1993 and 2018. 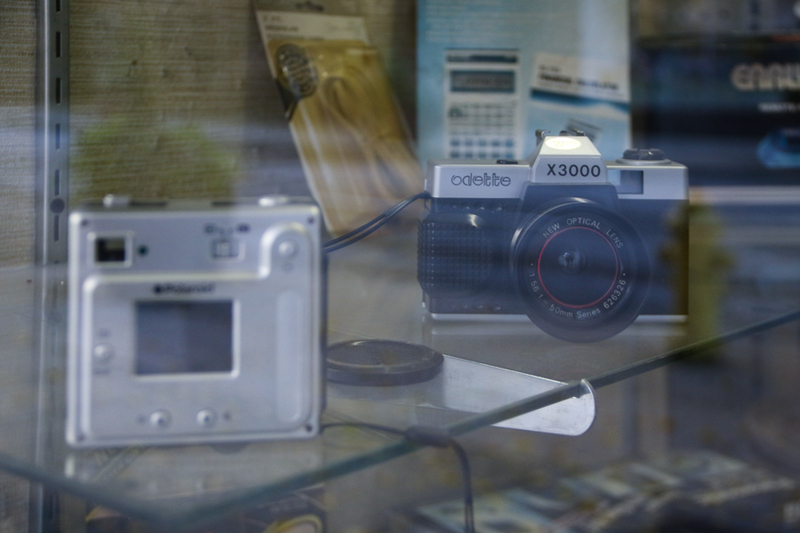 We spoke with a salesman about some vintage film cameras. I didn’t want to tell him, but even with the “store closing” sale prices, every camera on display was vastly cheaper on eBay or Amazon after a quick search. Even some of the clothing items—dusty and featuring styles more suitable for MTV’s Spring Break 1999—seemed priced too high. Some jackets were knocked down from $100 to $50 when they probably weren’t even worth $50 two decades ago. 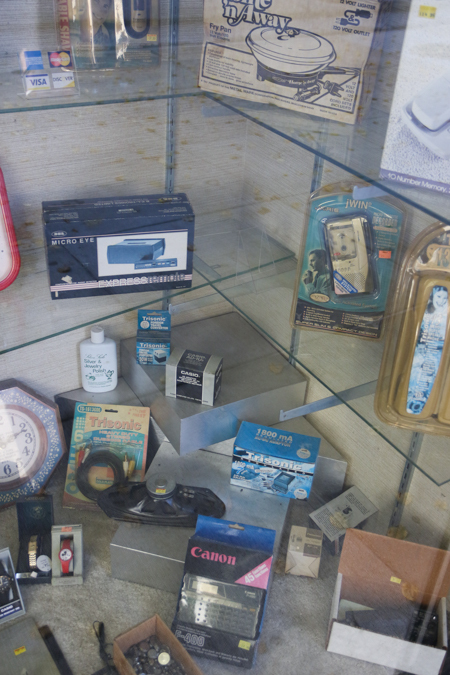 - Vintage film and vintage digital cameras. 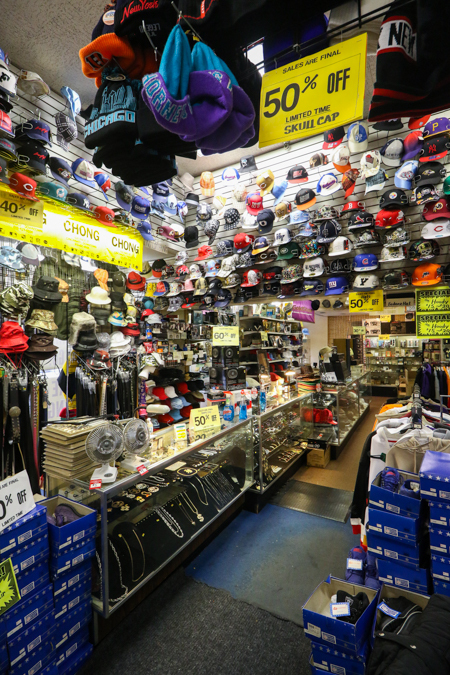 The store was a treasure trove, though, featuring everything from old clock radios to police scanners to hats representing every American sports team imaginable. I tried to find something to buy: a keepsake, a souvenir, a memento of what we had stumbled into. 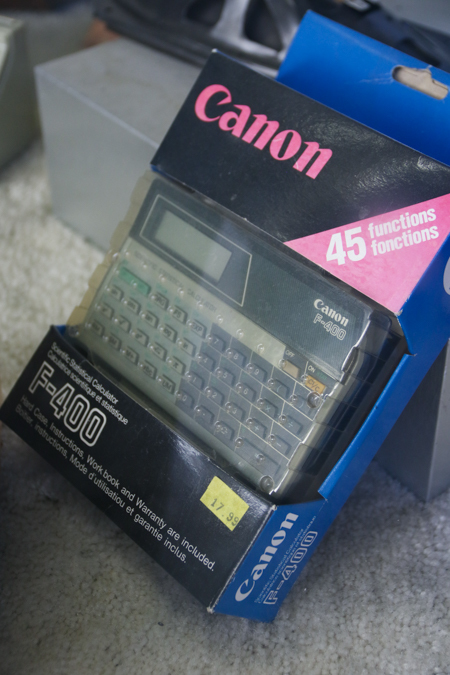 I even looked for something I could use practically, but I couldn’t get past the prices that had also apparently never modernized with the store itself. For us, it was a bit like a museum, this great little spot where you could wander for a bit and go back in time, but not too far back. It seemed like the kind of place Jerry Seinfeld’s persona would come across a comedic plot point on an episode of his namesake show. The kind of store you’d find in a larger metropolis, one where malls aren’t as ubiquitous or as easily accessible. In the next neighborhood over, you can find similar merchandise and fashion, priced and curated in order to appeal to a “vintage” taste. 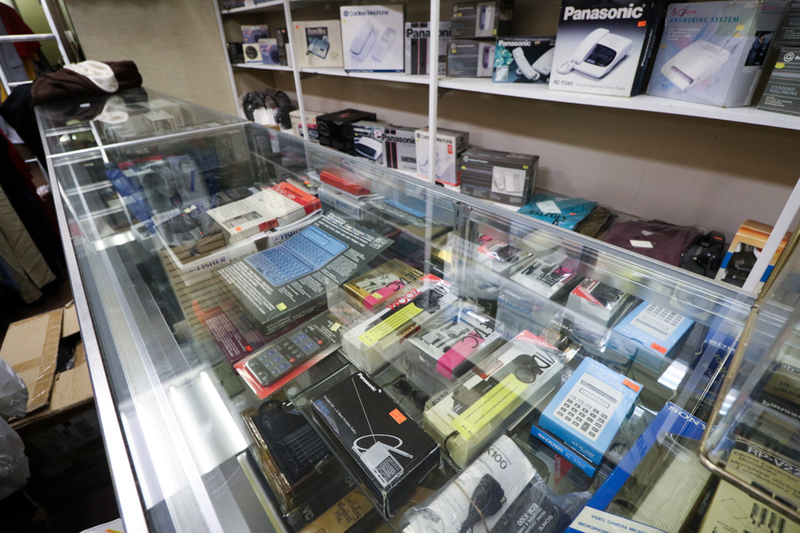 This store wasn’t attempting to play on the consumer trends of a generation that thrives on nostalgia, though, they were simply still selling blank VHS tapes and “discmen” just as they apparently always had. 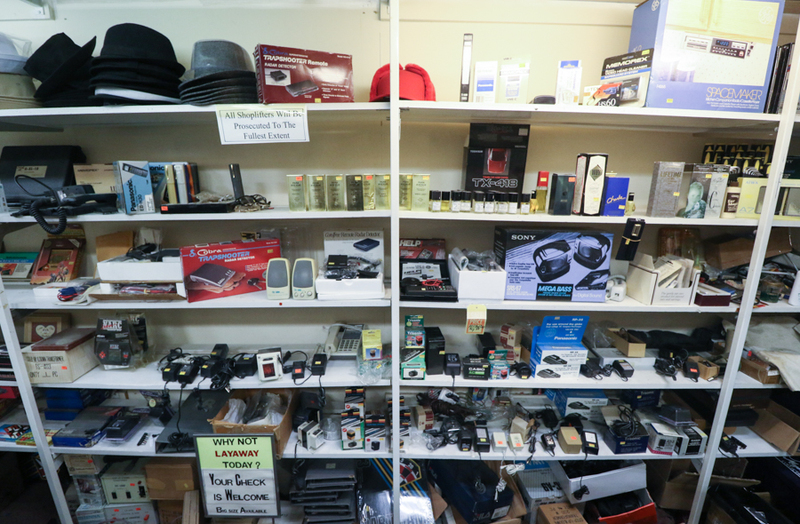 Compared to a thrift shop’s selection, the only difference here was that the older products were still fresh, awaiting release from their packaging restraints. I tried to inquire when I could. I wanted to know the story: how long this place had been open, why it was closing, what was coming next, if the shoplifters in photographs behind one of the many counters had ever been apprehended in the years since 1999, 2000, and 2001. The staff was polite, but more concerned with getting jackets on racks for “better visibility” in the closing days. In the end, I was content to just browse and take in the displays when the answers weren’t exactly revealed. 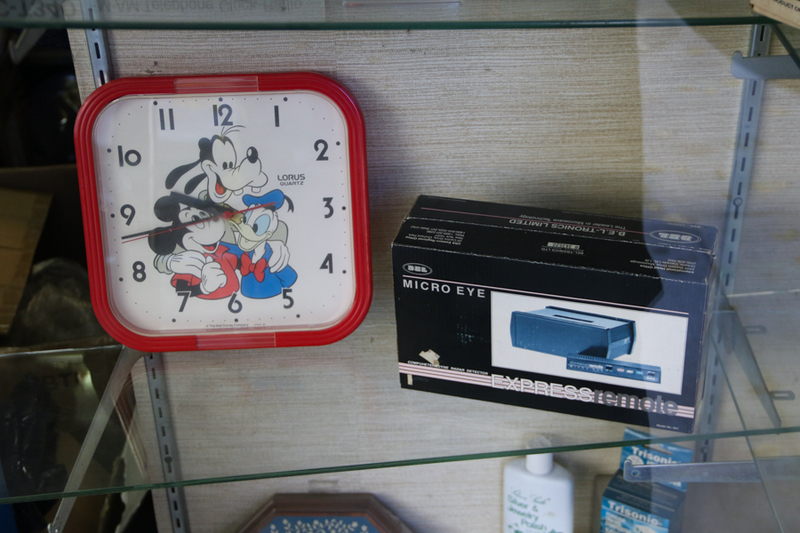 I remembered some of the store’s inventory from days when they were commonplace household purchases. I had helped my mom change the answering machine message and watched my dad install an “under cabinet” radio in the kitchen once. I could go on and on about the evolutional pace of technology in the last few decades, but we all know that story, most of us have lived it. While the expired camera batteries, old speakers, and dated clothing probably weren't the best sellers anymore, some of the garment selection had clearly been amended over time with regards to contemporary customers and trends. One online review described the store as a "staple in the Cincinnati Hip Hop Community." Another called it "part hip-hop clothing part Chinese knockoff outlet." 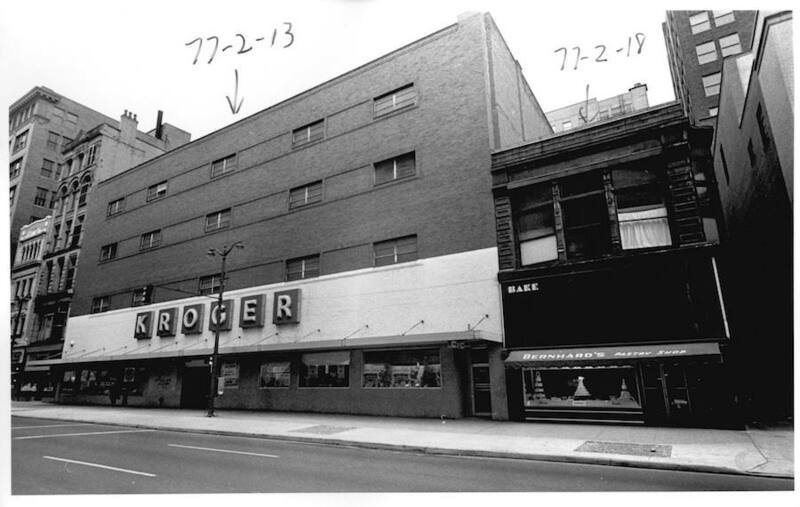 I wondered if—like so many other places in the city’s core—The Chong’s building was also slated to become condos or find itself renovated into a modern dining/drinking establishment. Several other nearby stores had long since been converted, a few other former retailers were now vacant. Saks Fifth Avenue still maintains a Downtown location, but Macy’s (and the local retail chains that eventually merged with it) were now all gone from the nearby blocks. 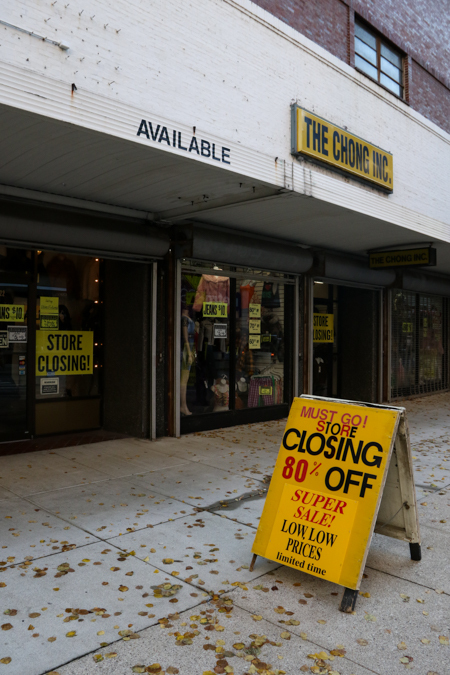 The Chong was one of the last few general merchandise retailers left, operating as it pleased no matter how the economy ebbed and retail industry flowed. The building was once a Kroger grocery (one allegedly with an escalator at that) before becoming an apparel and merchandise store. Google reviews had the place rated at a 2.8/5, while Yelp users rated it 3.5/5. - The Chong building in 1968. Image via the Hamilton County Auditor's Office. Like “Yum Yum” a few months back and up the road, The Chong was a vestige from a different era in the city. I’m not sure when the doors will finally lock, where all that merchandise will go, or what will become of the storefront. Until it does, the place is an interesting sight to take in even if the prices aren’t always showing the best deals. If you need a boombox that plays both tapes and CDs, or a cordless phone, there’s still some in the window on Race St.
Edit: Since this post was published, it's been pointed out several times to me that apparently The Chong does this often. 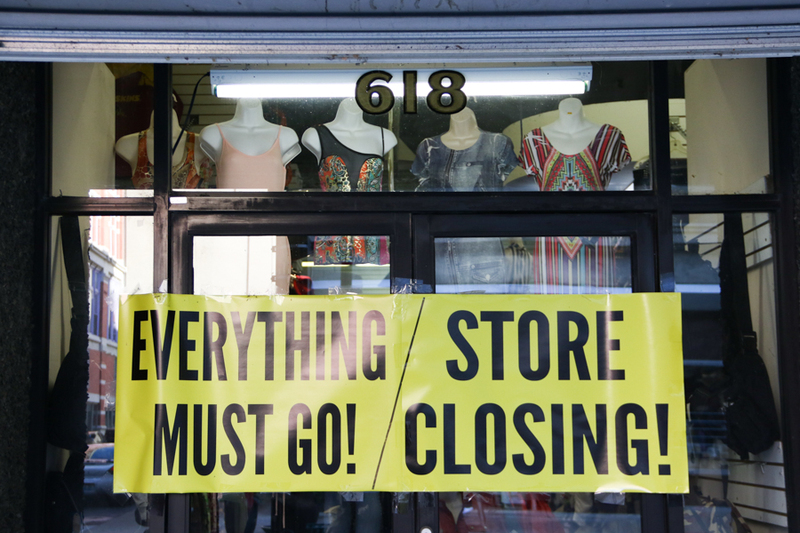 By "this," I mean: putting up a bunch of store closing signs, holding a sale, and then never actually closing. One salesman had remarked that the store cleared out a bunch of stuff in the last few days, but who knows what the real plan/future is. Honestly, I hope the place sticks around. It's part of Downtown Cincinnati's unique character and the "fake closings" just add to the eclectic reputation. 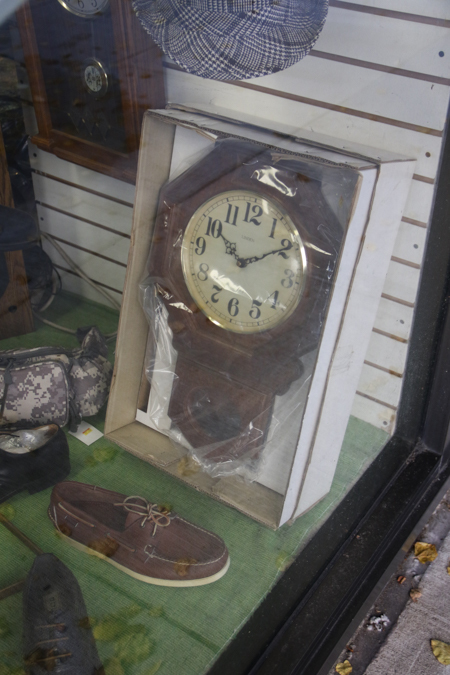 According to someone at the store during a return visit on Nov. 23: The Chong has "25 days, maybe a month" left before it actually closes. We'll see if that's true given the edit above. Why is it called "The Chong"??? Judging by the auditor records, it looks like that is the owner's last name.